MADRID – The Madrid Fire Department began a fleet-renewal program last year, adding 11 Allison-equipped heavy-duty fire trucks to serve at stations located throughout the region. 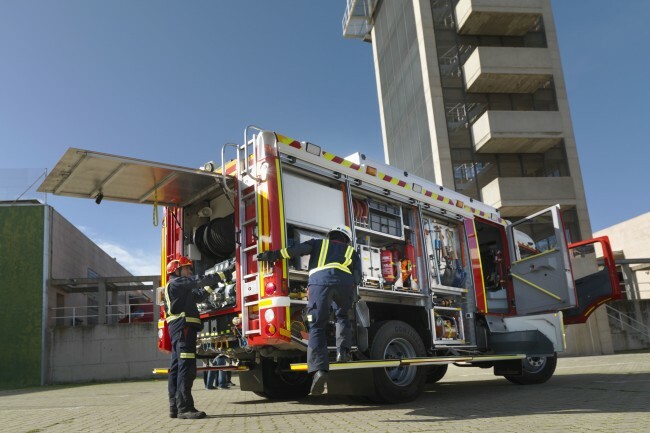 Mounted on Mercedes Atego 1629 AF chassis with Rosenbauer bodywork, the trucks are fitted with Allison 3000 Series™ transmissions, which offer the reliability, handling and safety first responders depend on. With a 371-vehicle fleet including fire engines, aerial ladder trucks, rescue and relief trucks, and Nuclear-Biological-Chemical (NBC) and lighting and repair vehicles, the Madrid Fire Department purchased its latest Allison-equipped fire truck based on the positive experience gained operating other Allison-equipped vehicles over the past year. Based at Las Rozas Central Fire Station, this new truck will be tested to verify equipment and system performance prior to the configuration being applied across the entire fleet. Recently, five one-day training and test sessions with the new Allison-equipped vehicle were attended by a total of 80 local firefighters. Roberto Prieto Merchán, Division of Vehicle Resources technical officer at the Madrid Fire Department, pointed out that even with confidence in a product, putting it into operation can pose a number of challenges. “In accordance with our stringent requirements, achieving perfect bodywork matching, providing sufficient training and generating user acceptance are all challenges that have been met satisfactorily and the result is that we have once again chosen Allison for a new vehicle acquired in 2014,” Merchán said. Allison fully automatic transmissions are often the preferred choice in public emergency, firefighting and rescue vehicles because of the greater reliability and safety features. Driving heavy vehicles close to maximum load conditions, through congested traffic and when every moment counts, is among the most demanding operating scenarios for a driver. 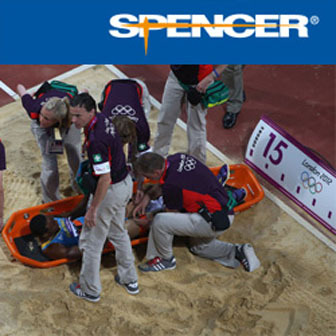 Anything that eases operation brings with it enhanced operational safety. Yugueros added, “Recently qualified firefighters need to acquire driving experience and Allison automatic transmissions greatly facilitate handling. Our team learned rapidly that the Allison is practical and reliable. Personnel are adapting very well to the truck.” Technical officer Merchán also commented on great benefits in terms of maintenance. “The retarder prolongs brake service life and the electronic controls protect the drivetrain. Not having a clutch obviously reduces repair costs, maintenance and downtime. While these 12 fire trucks are the only units currently fitted with Allison automatic transmissions, we plan to continue the process of transitioning the fleet,” Merchán said. Allison Transmission (NYSE: ALSN) is the world’s largest manufacturer of fully automatic transmissions for medium- and heavy-duty commercial vehicles, and is a leader in hybrid-propulsion systems for city buses. Allison transmissions are used in a variety of applications including refuse, construction, fire, distribution, bus, motorhomes, defense and energy. Founded in 1915, the company is headquartered in Indianapolis, Indiana, USA and employs approximately 2,700 people worldwide. With a market presence in more than 80 countries, Allison has regional headquarters in the Netherlands, China and Brazil with manufacturing facilities in the U.S., Hungary and India. Allison also has approximately 1,400 independent distributor and dealer locations worldwide. For more information, visit allisontransmission.com. 911 Super Users: can an App reduce their number?